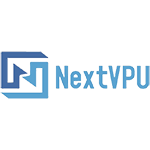 NextVPU is a start-up in Artificial Intelligence and Computer Vision domain. NextVPU refers to “Next Vision Processing Unit”, which means the vision chips in future. The goal of the company is to bring vision capability to all robots, unmanned aerial vehicles (UAV), unmanned ground vehicles(UGV) and other smart devices, to create a new era of AI. The company, founded by industry veterans, now is focusing on the R&D of some interesting products. The first product is coming soon.